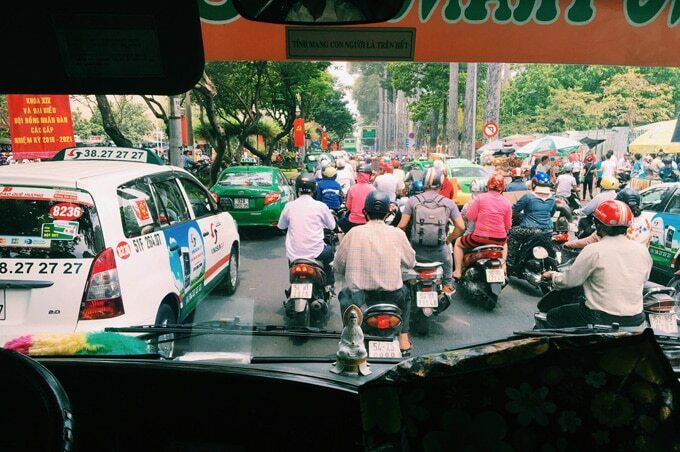 My head began spinning the moment the taxi pulled away from the Ho Chi Minh airport curb. Hundreds of motorbikes carrying business people, dogs, babies, entire families whizzed by. Flashing advertisements and propaganda-esque posters lined the streets. The polite but consistent honking of drivers interjected the sound of the city bustle every other second. Vietnam was alive and my head would be spinning for a week, until we reached the Cambodian border. Jump around the post by clicking anything in the list below, or just scroll on for a full account of my week in Vietnam! 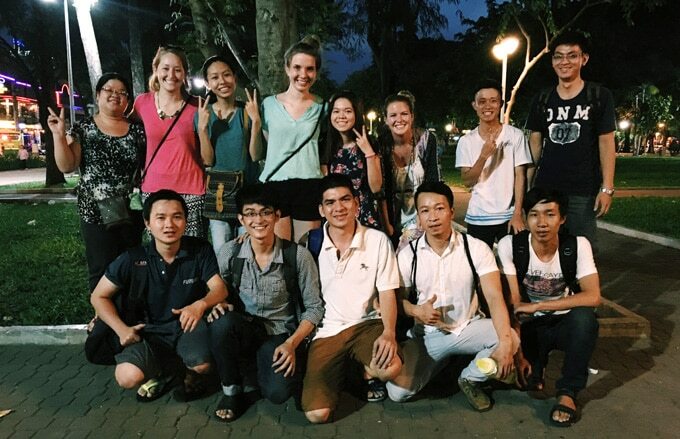 Learn about Vietnam in September 23 Park: Walk around this park and you’ll find clusters of university students looking to practice their English by talking with tourists. Sit and chat for a while to learn a bit about the city and culture. They also offer free tours of popular attractions around the city, like the Cu Chi Tunnels. The War Remnants Museum: As you work your way up the levels of this museum, you’re confronted with the brutality of the Vietnam War. It’s heavy but well worth a visit (and bonus: it’s air conditioned). Take in the view from Saigon Saigon Tower: A great view of the city, but drinks aren’t cheap! 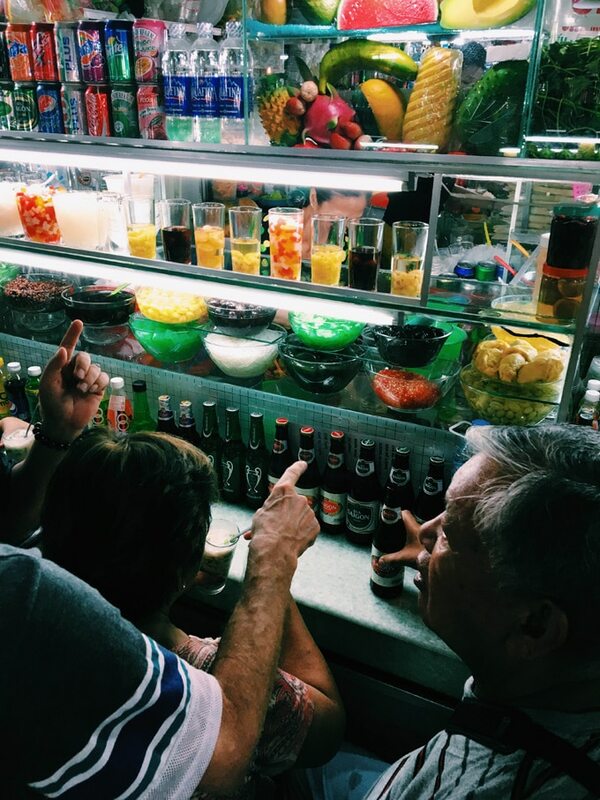 Walk down Bui Vien Street: Lined with restaurants, street food vendors, and bars, this street is alive with locals and tourists alike, most sitting on plastic kiddy chairs enjoying food and beer. 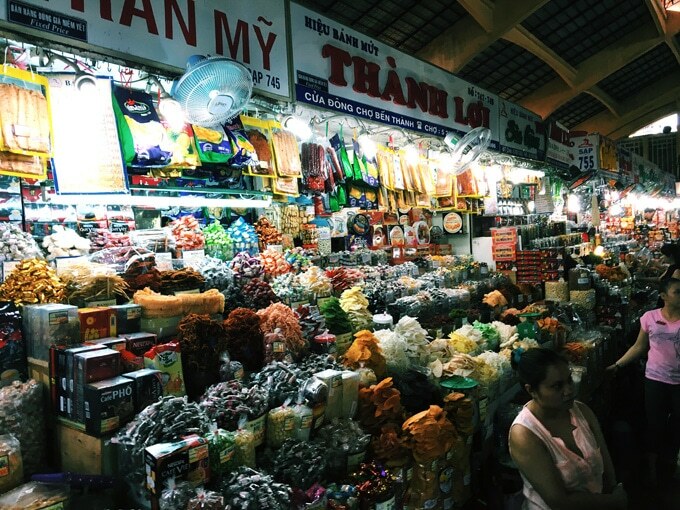 Ben Thanh Market: The madness of Ho Chi Minh packed into a warehouse. You’ll find everything from good cheap food to knock off designer bags. 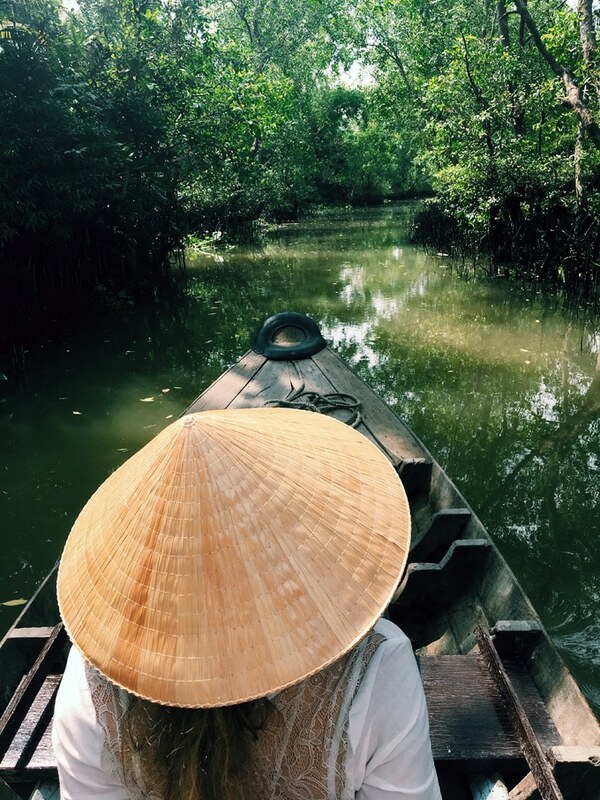 Take a day trip to the Cu Chi Tunnels: We toured the tunnels with a girl we were connected with from Talking with Tourists, who showed us the cheaper route to visiting these intriguing remnants of the Vietnam War. We visited the Ben Dinh site, just 26k VND ($1.16) round trip via local bus, though most tours visit the Ben Duoc site, which is a bit further out of town. But whichever and however you get there, I definitely recommend going! Vinh Long is quiet city in the delta, about halfway between My Tho and Can Tho. Take a quick ferry (500 VND, $0.02) to the island of An Binh for total back country seclusion. Homestay: Homestays are really popular here, though “homestay” is more loosely defined as a family-owned guesthouse. 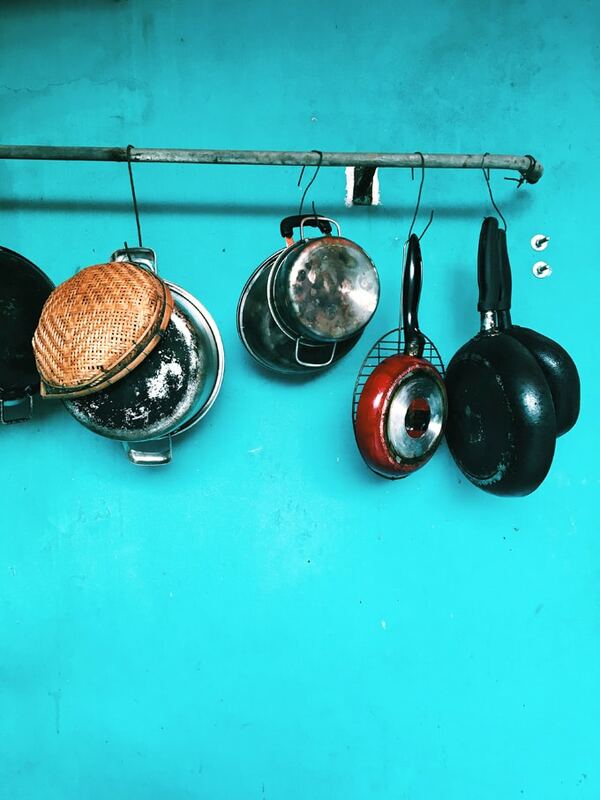 Find a homestay online before you go, because there are hardly roads or transportation on the island. You’ll probably need to enlist the services of a motorbike driver to get you to your accommodation. Many of the homestays pay the drivers to shuttle their guests from the ferry, so you shouldn’t have to pay for the ride. 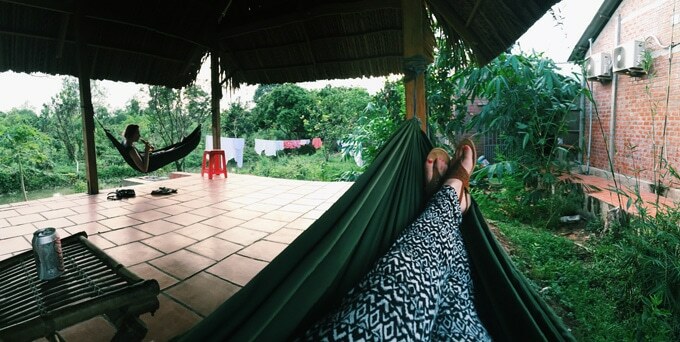 We stayed at a really great homestay, Phuong Thao. 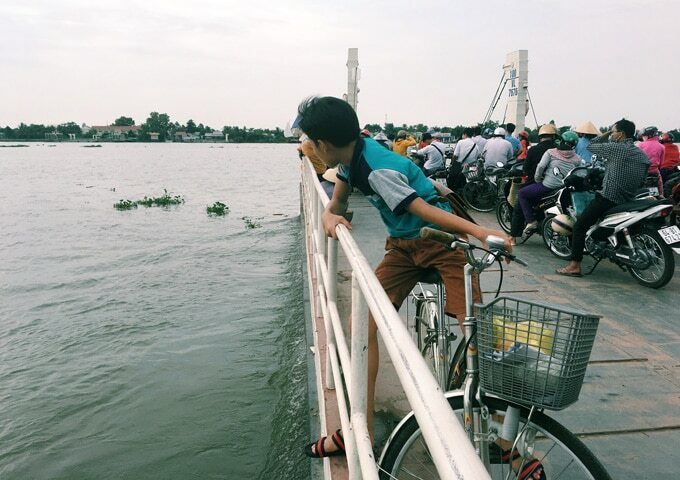 Bike around An Binh Island: This island is super rural. There are loads of chickens and dogs and tiny children yelling “HELLO!”, but hardly another tourist in sight. 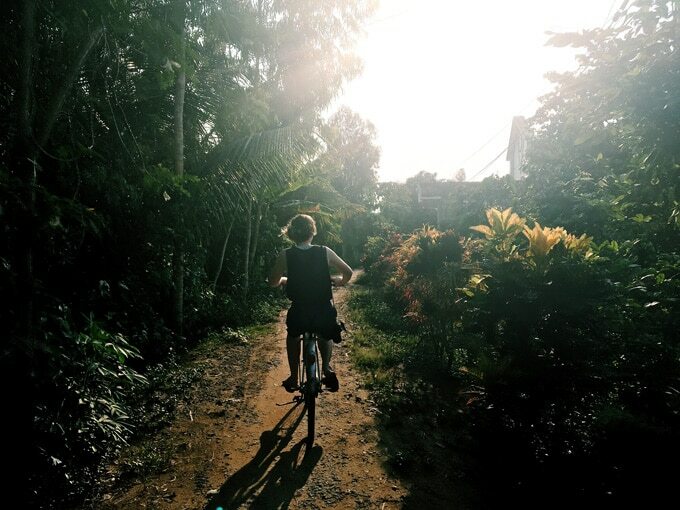 Bike around and explore for a day! 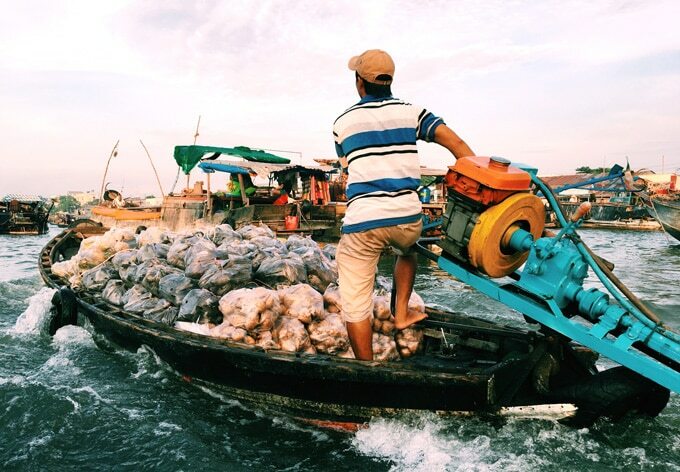 Cai Be Floating Markets: If you’re looking for vibrant floating markets, you won’t find them here. 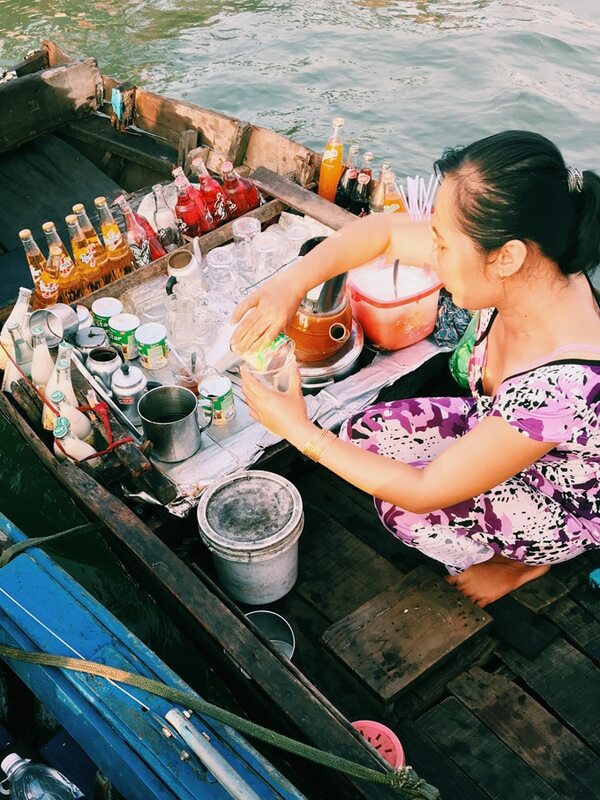 This market is nearly dead, though most boat tours will take little detours to street markets and artisanal shops to make the trip worth waking up for. Our homestay took us on a great ride around the area. 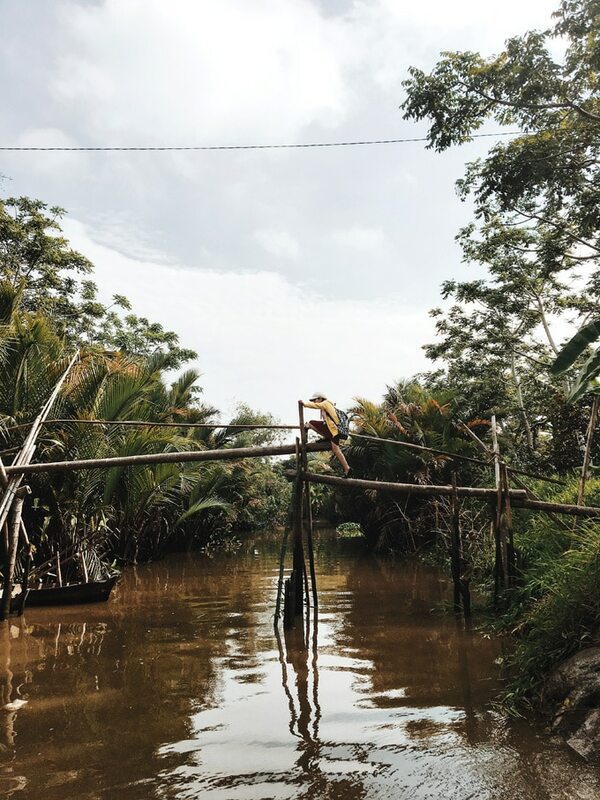 From Vinh Long, hop on a bus to Can Tho, the real heart of the Mekong Delta. 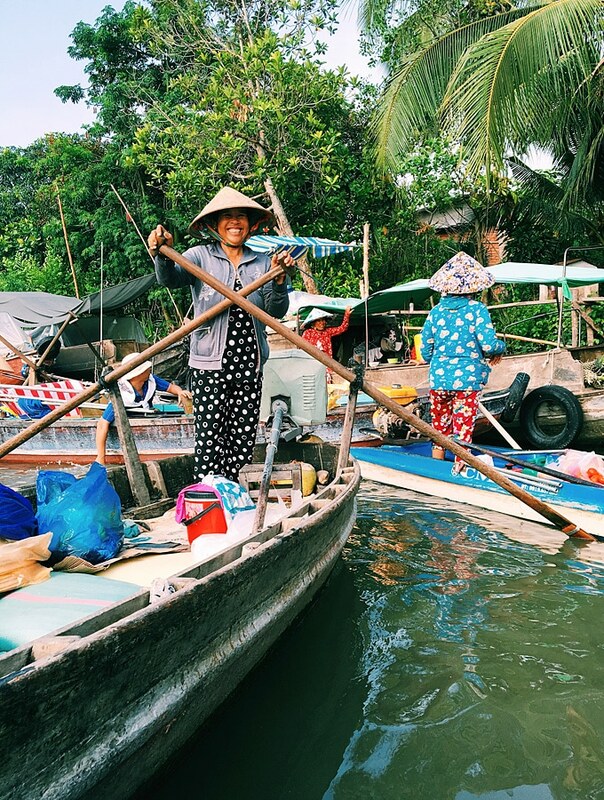 Cai Rang Floating Market: This market is a good bit more vibrant than the one in Vinh Long. You can book a boat virtually anywhere in the city, though we booked ours through our accommodation, Kim Long Hotel. 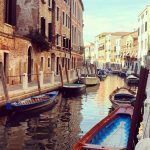 A half day tour will get you on the water at the crack of dawn to see the lively market for a few hours, while a full day tour will take you on a few detours around the area. The full day tour, though we did get to visit a really interesting rice noodle factory, was a bit much by the end of it. 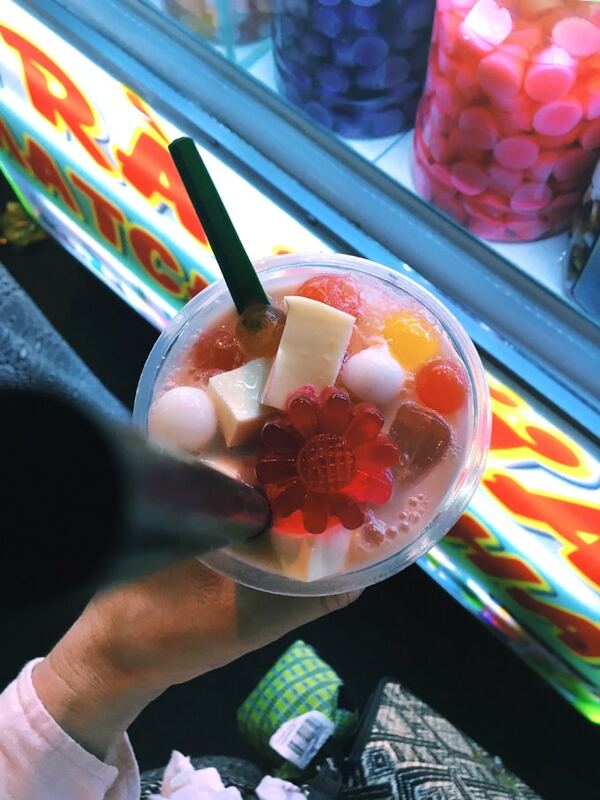 Tay Do Night Market: You’ll find a mix of everything at this small market, though the street food and drinks are where it’s really at. Eat at Sao Hom: Though a bit touristy and expensive (relatively), we had some goooood food at this riverside restaurant! 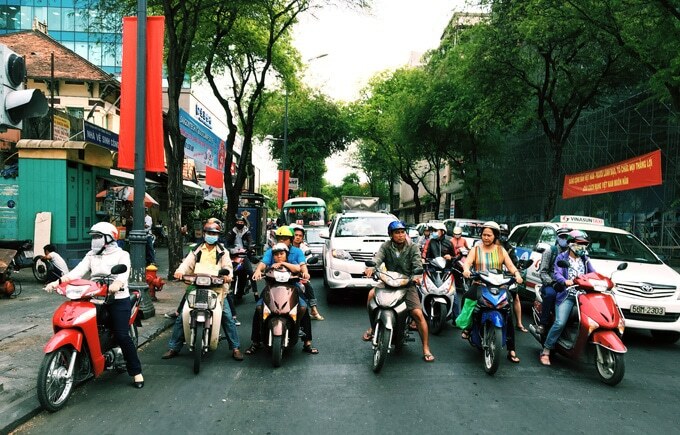 Crossing the road: The roads in Vietnam are a beautiful chaos involving hoards of motorbikes and busses. To cross the road, you need to put your hand out towards the oncoming cars to signal that you’re walking and you mean business, then walk at a slow and steady pace until you’ve survived to the other side. Taxis are by the meter: In some countries you can negotiate the cost of a cab before you take off, but not here! In Vietnam, always make sure the meter is running. FUTA (Phuong Trang) Buslines: This bus system is a really affordable way to get around Vietnam. You can book your seat at most hotels/hostels. And the best part? They’ll come pick you up from wherever you’re staying and drop you off wherever you need to go! Crossing the Cambodian border at Ha Tien: For about 300k VND ($13) a motorbike will bring you from Ha Tien, through passport control and immigration, and on to Kep, Cambodia. You’ll need a passport photo and USD or VND at the border (though they’re likely to try to squeeze more money out of you, so have a bit extra just in case). 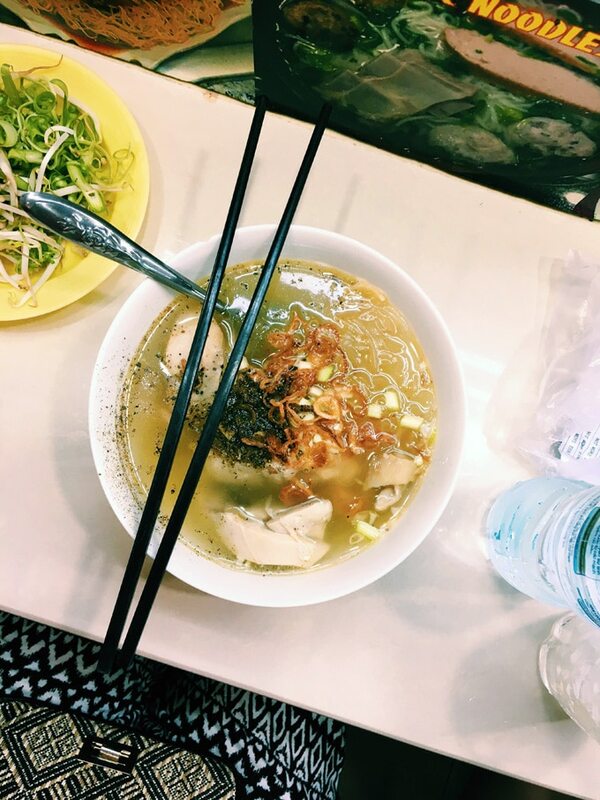 The combination of my allergies to fish and peanuts + my initial hesitation in jumping into the deep end that is Vietnamese food led to me not experimenting quite as wildly with food in Vietnam as I would have liked. But without hesitation, I can recommend you guzzle Vietnamese Iced Coffee and go crazy with the noodle soups! Vietnamese Iced Coffee: Strong brewed coffee with a healthy portion of sweetened condensed milk over ice. Drink it often and savor every second. Pho (noodle soup): A classic noodle soup that you’ll find just about everywhere. 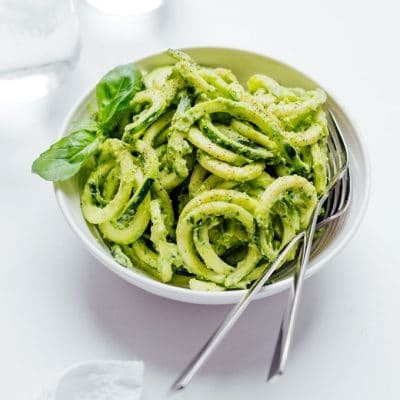 Don’t be afraid to go crazy with the herb toppings and sauces! 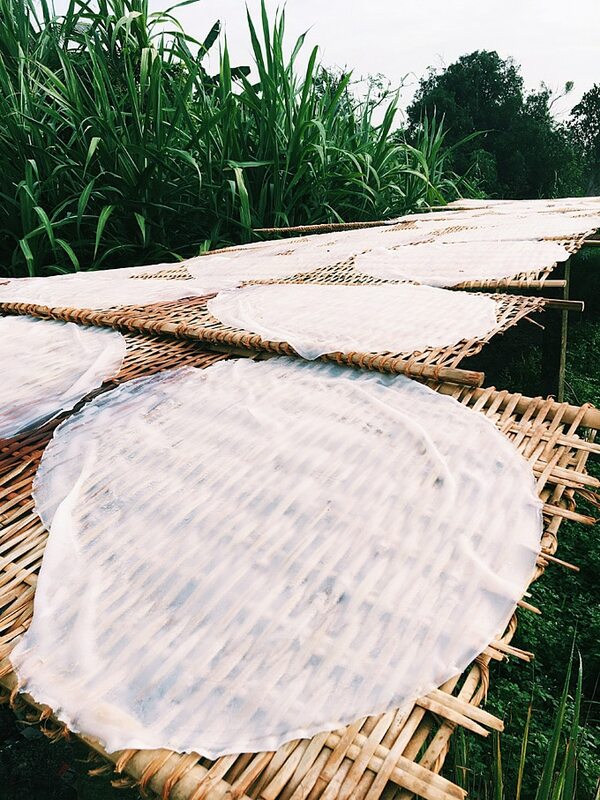 We visited a small rice noodle factory in Can Tho where they make the rice noodles for Pho by spreading a batter out like a crepe, cooking it quickly, then drying it in the sun for a day before cutting into noodle shapes. Don’t let food poisoning ruin your trip! While ice is usually produced in factories and is clean in Vietnam, tap water and anything that may have been washed in tap water should be avoided (lettuce, tomatoes, grapes, etc.) 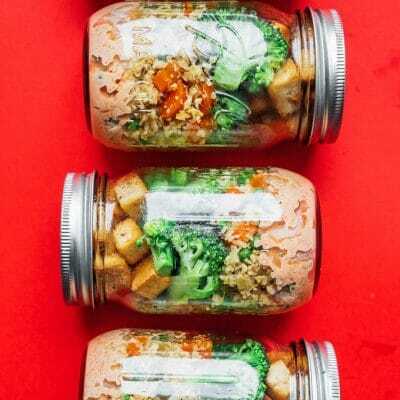 Read up on this post to keep your belly happy and healthy. Don’t be alarmed when your hotel/hostel takes your passport. This is pretty common practice in Southeast Asia. 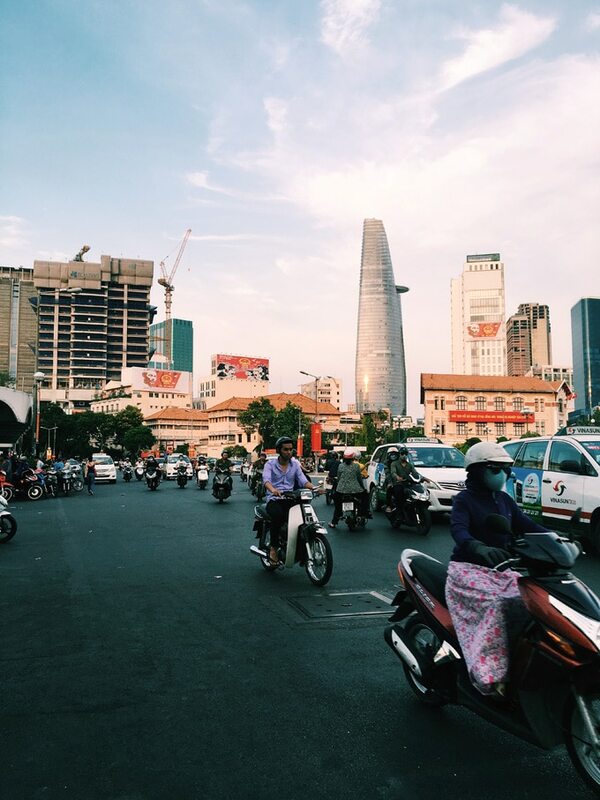 Ho Chi Minh City is the new name for Saigon. 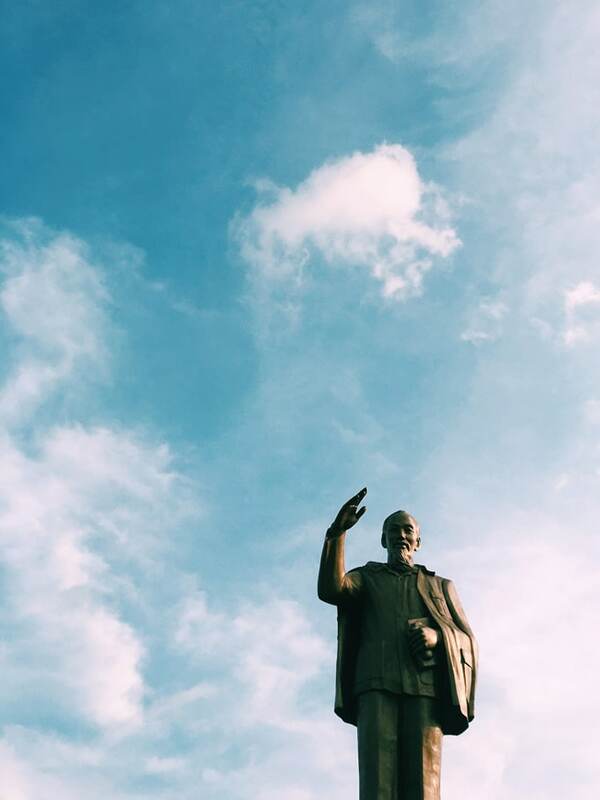 After the Vietnam War, the city was renamed to commemorate the communist leader, Ho Chi Minh (though you’ll still hear it unofficially referred to as Saigon). 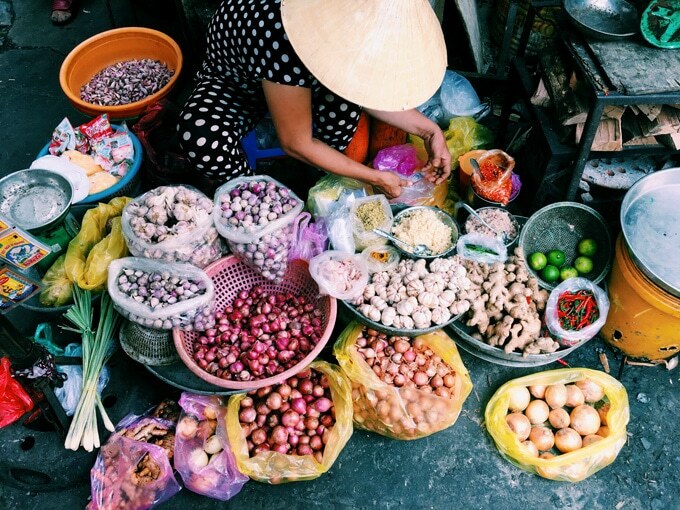 A few travel bloggers have gone on about how the Vietnamese people are not welcoming, and we almost let this advice keep us from visiting the country. Fortunately, this advise couldn’t be further from the truth. 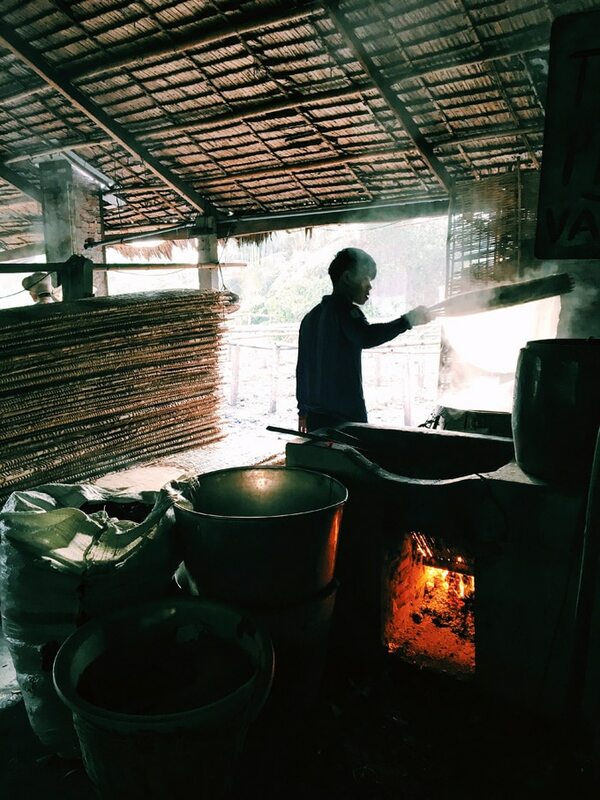 The Vietnamese people were some of the nicest, most welcoming people we encountered in Southeast Asia! Be kind and you’ll get kindness in return. I want to go. Will you be my tour guide?? What an amazing trip. I would love to see pictures of the tunnels. Hey Sarah… Love all the pictures. I was curious about how you planned out your trip. 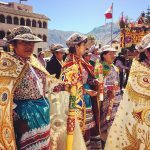 Did you use a travel agency or was it just your own planning and research? I would love to do a similar backpacking trip. Any advise is great. Hi, I love the photography you captured in vigorous color are wonderful. Hope you will come back to explore more of Vietnam. All the best.